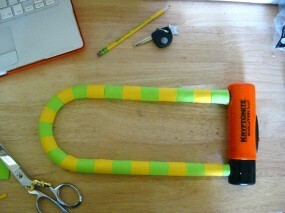 Back in March I got a new Kryptonite U-lock for my bicycle. 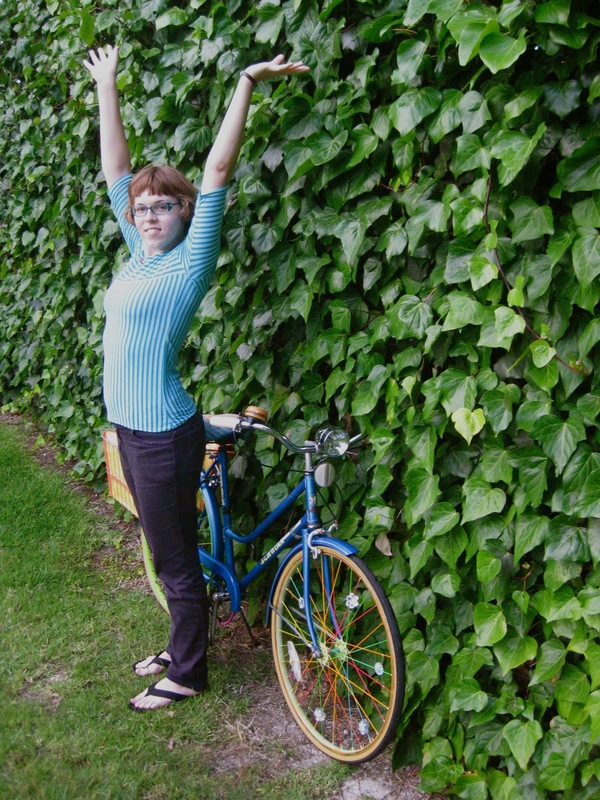 It’s long enough that I can lock up two bikes without any problems and it’s great that I don’t have to worry about if my bike will still be where I left it. 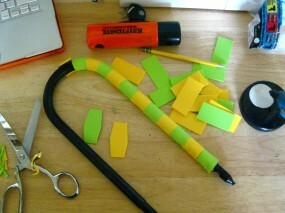 However, my ride is about combining form and function, and I knew I had to do something to spice up my lock. It’s covered in strips of foam I got at the craft store. They are hot glued on, which seems to be pretty secure. At the curve they are cut to conform to the metal without overlapping, which was the only part that really took any craftiness. 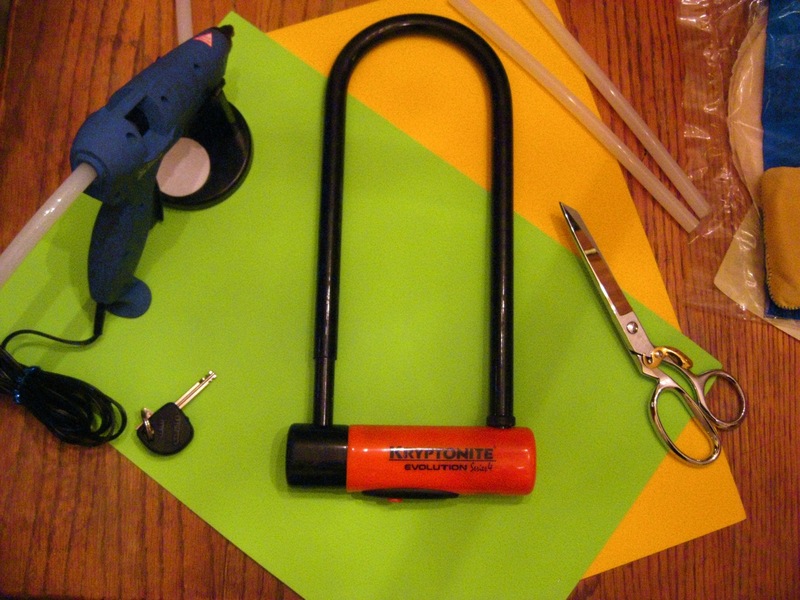 I thought about covering the base of the lock in a blue foam, but there might be some benefit in having the Kryptonite logo to deter any bike thieves. I might still go for it, leaving an opening for “Kryptonite” to show through. This project was super easy, took less than 30 minutes, and cost $2 for the two sheets of foam, of which I have lots leftover.It really helps to complete the look I have going for my bike, either when I have the lock strapped to my rack or locked up on a stand. I’d love to see photos if anyone else tries this! Want to know what makes me tick? Check out this interview on Slow Southern Style. 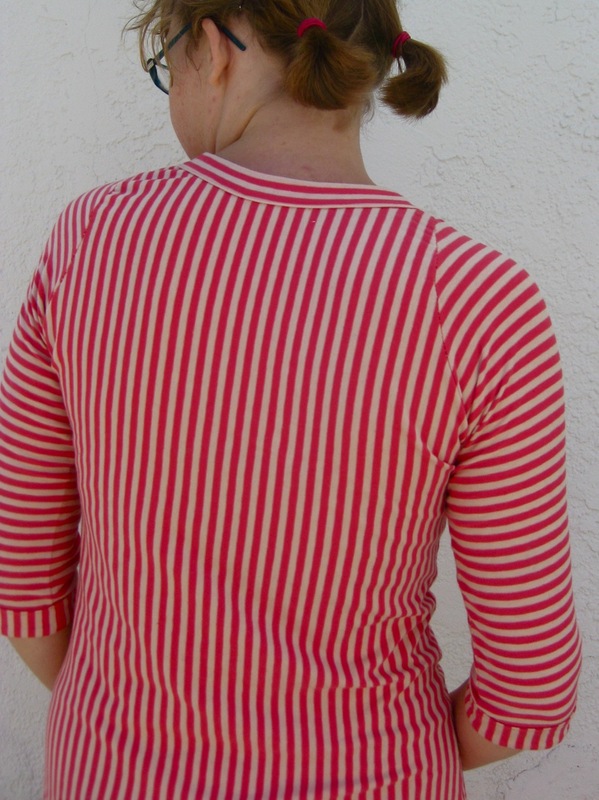 The pink and yellow stripes of the fabric made me feel like I’m at a never-ending circus in my head. 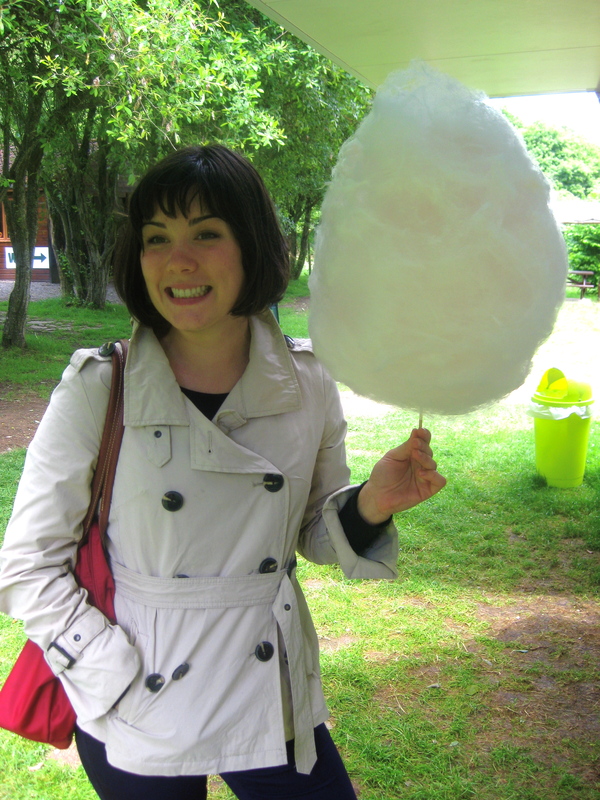 All you can eat cotton candy! I made the shorts for our weekly game of ultimate frisbee, but I get a kick out of wearing the set together. So far I haven’t really worn it out yet, but I think it would be great for a bike ride to the ocean. 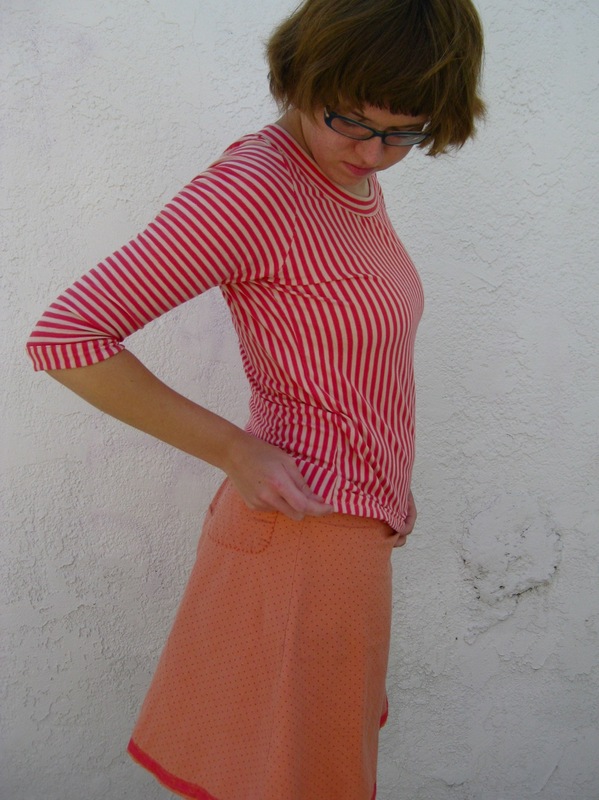 In the meantime, I’ve been wearing the shirt with a polka dot skirt or pants. It’s made out of jersey I picked up at Fabric Planet for $1/yd–gotta love that place! 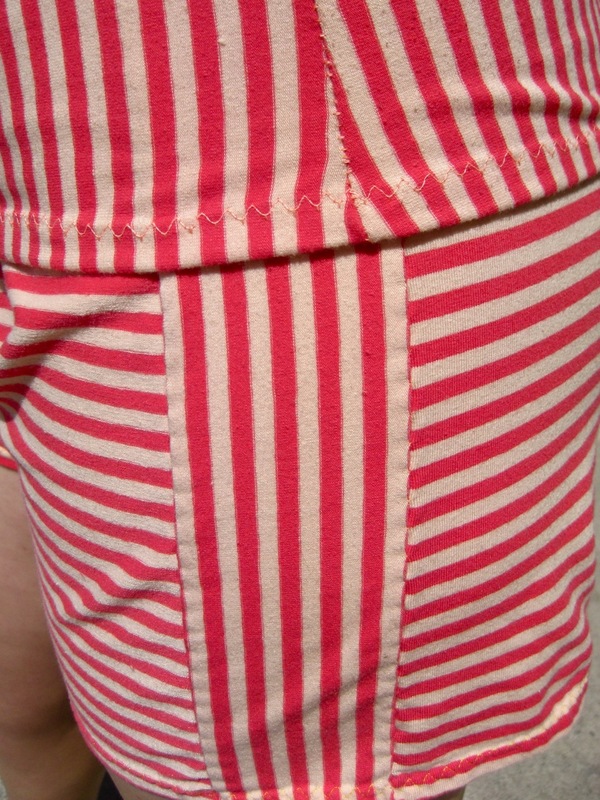 The fabric was meant to have the stripes running horizontally, but since it’s got great stretch in all directions I figured I could rotate it with no problem. Since I was already re-thinking the orientation of the fabric, I went ahead and used the back side. 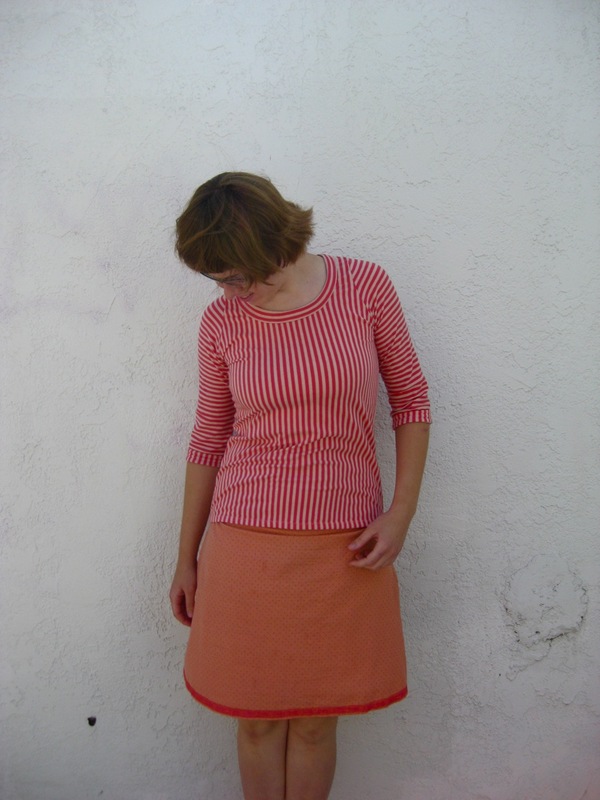 I like that the stripes look a little more painted on, and it hides that the fabric is turned. The shirt is a heavily modified version of the pattern I made for T shirts. It’s got raglan sleeves that come to just below my elbow, which is an unusual length for me, but I think it works great for this project. 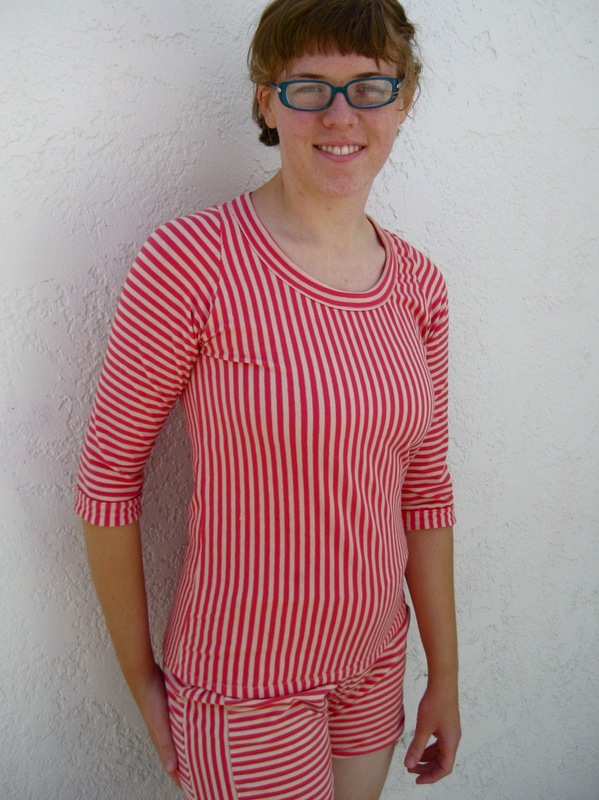 I’ve always liked stripes–I love to see the patterns of lines juxtaposed with an organic human form. 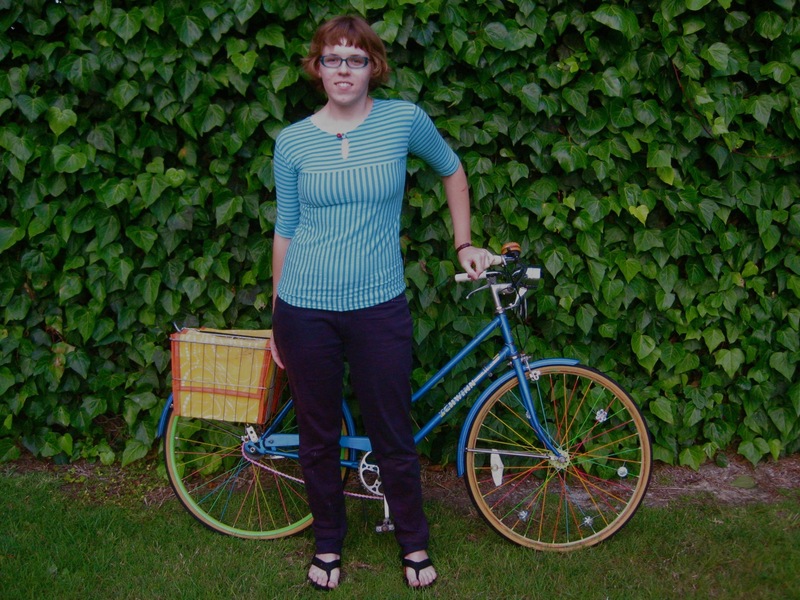 I think this contrast is very approachable in bright colors, especially when they match my bicycle. 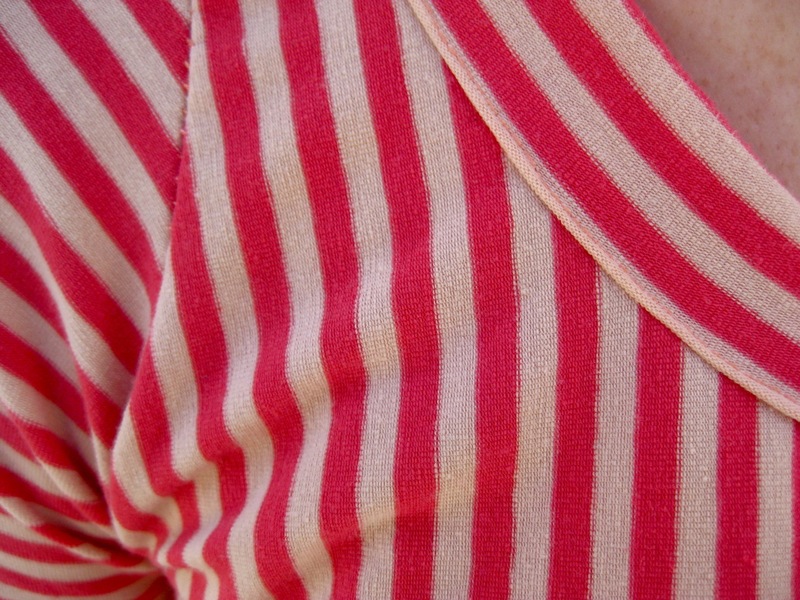 The keyhole neck has a striped loop and a ruby button, a decision inspired by Jason’s love of the fabulous. This was an important part of the design but I wasn’t completely sure about it until I wore the shirt out and about, and now I’m glad I went with my instinct.